This state of the art multimedia system has been designed and engineered in Germany, due to labor cost it has been manufactured in Asia. 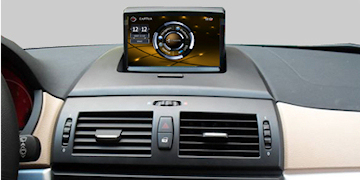 This GPS navigation - DVD - Bluetooth Entertainment system is not just designed but also has been tested extensively in the intended cars in Germany. It comes with integrated iPod interface units for AUDI, BMW and Mercedes. The system integrates GPS navigation by touch screen and external video source input to BMW with IDRIVE, Mercedes and Audi. High quality 7'/16:9 LCD display with touch screen, 800x480 pixels resolution. Supports CD, CD-R/RW, Mp3, MPEG4, DIVX VCD, SVCD, JPEG. Integrated Bluetooth module, support A2DP, play music from mobile via car audio. Dual zone function, listen music while watching, using GPS. Integrated SD car reader & USB interface. Support 64 GB SD card. Integrated navigation system, Windows CE5.0, support TMC. Integrated iPod interface, iPod control, select iPod song directly via touch screen. Also there is a micro USB slot at the front where you can attach a PC or your USB stick with your favorite music or video. Comes with a USB cable as well. 3 G Modem for internet access to your favorite sites with GSM card. Rear view camera (back up camera). Digital (HD) TV with optional antenna. The system has unique features like DVD on the go and optional Digital TV (HD )reception off the air while driven. It integrates with the original set up, so no speaker change needed, no cutting into the wiring and no any change to the original wiring needed. It's a fraction of the cost of the original system which is nearly five thousand dollars before installation. 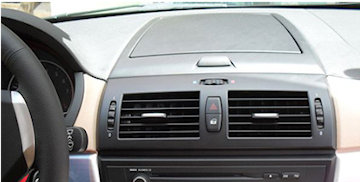 With the use of AUX sound comes from the car's speaker system.